One of the biggest trends in the past five years has been the emergence of wine and paint nights. Enjoy a glass of wine, before, during, and after your pre-planned canvas paint night. 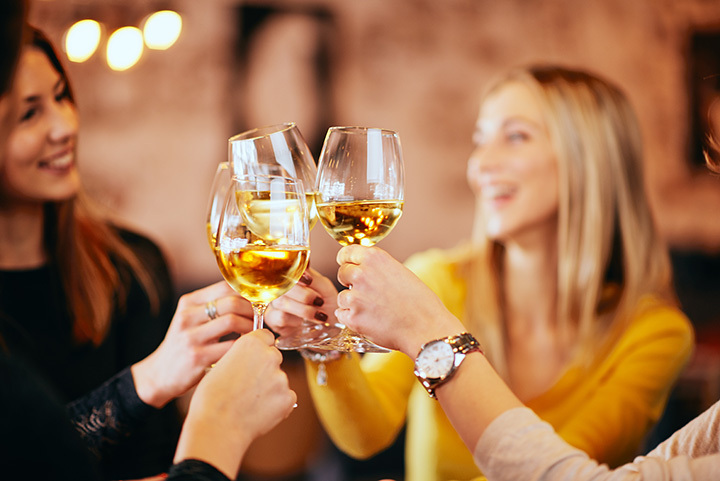 Grab your friends for a fun night out or plan something different for date. Here are the 10 best places for paint and wine in Wisconsin! The PaintBar located in Delafield is a cute little space for both the indulgence of wine and canvas painting. Your admission grants you three different glasses of wine and of course a cool painting tutorial with a skilled instructor. Plus, if you get hungry, their menu is absolutely delicious as well. There are three ways to join in on the fun at Arte Wine and Paint. Register for a class, reserve a table during their Open Canvas Painting, or by stopping in for a drink. There are tons of fun painting ideas to pick from, in which you can see on their online calendar. Check out their great drink and food menu options. Paint and sip, and sip and paint at Pinot’s Palette off of College Avenue in Appleton. Scroll through and pick out your date and corresponding masterpieces at their website, classes run all week long. Cost does not include the price of beverages and you can bring your own snacks to make it a real party! Cheers Pablo’s hosts both public and private events throughout the week. They now offer both wood and canvas options. Let’s not forget their wine, beer, and nonalcoholic beverages for purchase. Cheers Pablo also offers signature painting classes for the younger crowd. Sign up quick because spots go fast! Let the gifted instructors at Palette and Pub walk you through your painting step by step. New design ideas are added every season to ensure that their paintings offer fresh, diverse options. All the supplies are included in the cost but beverages are ordered separately. Studio Winery offers fun Cork & Canvas Sip & Paint options. Choose from instructor-led painting sessions or open paint options. Classes are held only twice a month but are a very hot commodity—so schedule as soon as possible. Their instructor-led class isn’t ran but just any art fanatic, Studio Winery is held by an award-winning artist. Learn from the best and be with the best in Lake Geneva. The Pourhouse in Elk Mound is constantly hosting fun events. They even have wine glass painting nights. Everything is included in your prince along with two drinks. Find your new favorite glass by making it your own at The Pourhouse. “Uncork your creative side” at a Stroke of Genius. Classes are a great way to work on your skills and have a little fun with some friends. Schedule a private party for a little more intimacy. Both amateurs and seasoned painters alike can have fun at A Stroke of Genius. “Make art and memories” at the U Paint & Party Studio. Schedule adult parties, kid’s parties, or even sign up to host an off-site event. There are tons of ways to make your private party a little more special. Add popcorn, a Bloody Mary bar, mimosa bar, or bottle service. Want to spice it up a bit? Craving Canvas and Ceramic Studio offers a fun experience where you can make ceramic and canvas masterpieces. Their “DaVinci and Drink” private parties allow for you to get your drink on while painting with your co-workers or friends. Save a little money and bring your own drinks, cups are provided.